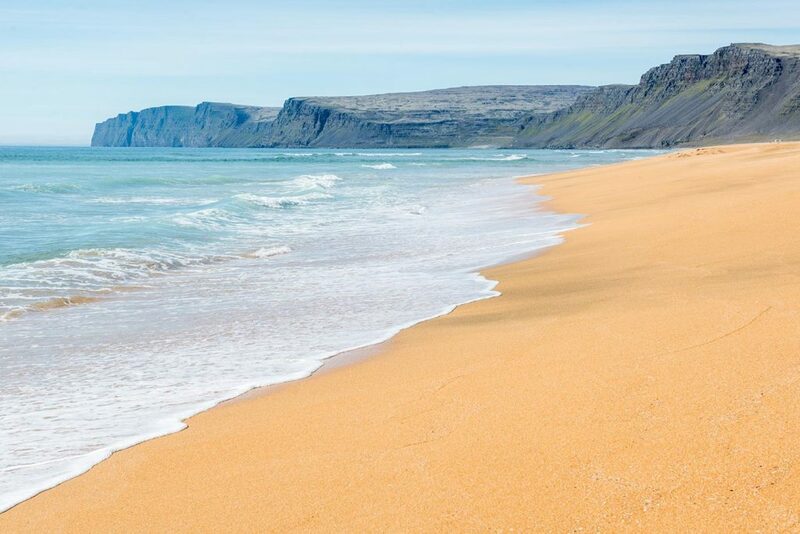 Most aristocratic of all the Icelandic beaches, that is the iconic Rauðasandur beach in Westfjords, Iceland. This beach is not only enormously spacious (and next to the biggest European cliff Látrabjarg), in contrast of most of the Icelandic beaches, this one is yellow – or gold if you wish. 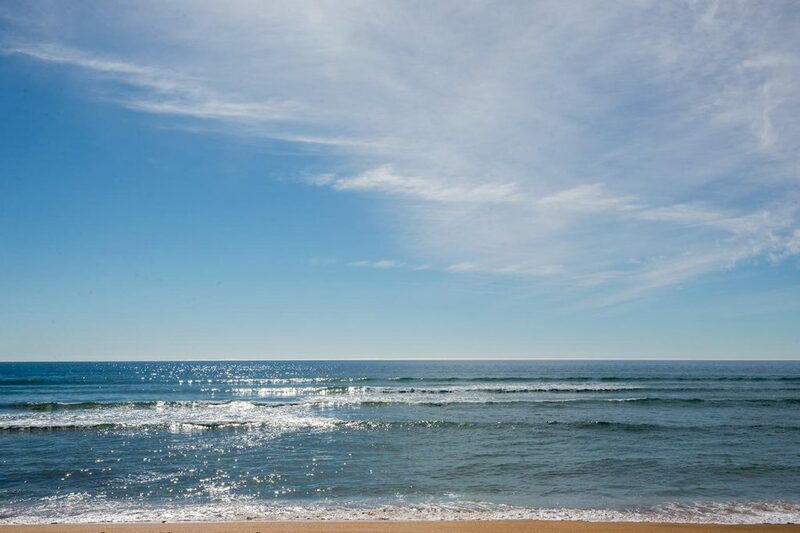 In the summer time, you can enjoy here nice sunny days, but do not try the Atlantic unless you have a very thick neoprene. You can have a nice romantic walk here:) not far away from the polar circle. 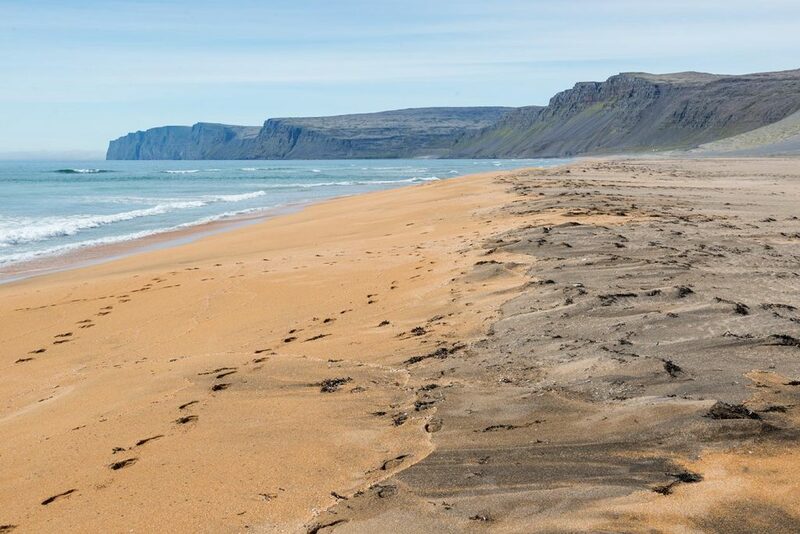 The Rauðasandur beach is situated deep far in the Westfjords. The accesibility is definitely not ideal and if you are going just with a small 2WD, be careful! 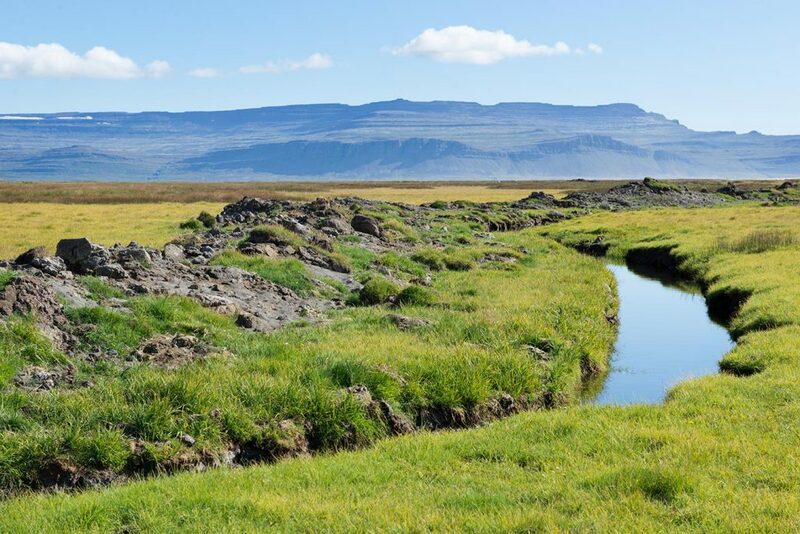 GPS coordinates of the Rauðisandur beach: 65.462662, -24.017104 Take me there!